The news of Castro’s passing today takes me back to a day in 1971 when I hesitantly accepted my first teaching position at an inner city school 30 miles east of Chicago. It was a cold January day in the Midwest, mid- school year, when I walked into a classroom of 13 hostile Cuban boys and girls, ages 8 to 14. Their families had recently fled their native Cuba through Miami and ended up in the steel town of Gary, Indiana. which had a fairly large Cuban population. They did not want to be in the city nor did they want to learn English. Today, ESL has a wide curriculum with countless lesson plans. At that time there were none. My second hurdle: I did not speak Spanish. I accepted the position as a favor to the district coordinator who was looking for a teacher with a strong language background who did not speak Spanish. I did have a degree in English with a minor in French and spoke a Slavic language-Bulgarian. I had substituted for her previously when a Russian language teacher was elected to the Indiana State Senate and had to be gone for four months to serve in the legislature. I guess she thought I was up to another challenge. These newly arriving Cuban children attended Jefferson Elementary, historically the first school in Gary, a US Steel settlement in 1906. The Spanish teacher they hired to teach them was not successful because once the Cuban children knew she spoke Spanish, they refused to speak in English. Hence, I was to be the compromise solution. I did have, as my assistant, a kind and gentle Spanish-speaking aide. However, she was from Mexico and we both soon discovered that the Spanish spoken in Mexico was different from the Cuban Spanish. For example, the Mexican word for “grass” was interpreted as “weeds” by the children. They had a fierce pride in their language and their country and defended their language. They became so angry over the discrepancy in the above word that they would not speak to either one of us the rest of the day. With no teaching materials yet developed, I recall many sleepless nights wondering what I would do with the children the following day, not only to teach them English but to earn their trust. My challenges were many. What often appealed to the eight-year old girls was considered baby stuff by the fourteen- year old boys who were quite mature beyond their years. (These children had been encouraged by the Cuban government to inform on their parents if they were not displaying allegiance to Castro’s dictates.) I thought I had found a solution, of sorts, with a program out of Tennessee, the Peabody Language development program. Designed for pre-schoolers, it incorporated a funky little puppet named P. Mooney to teach them colors, numbers, sight words. I found that the children would often talk to the puppet when they would not talk to me. However, the older boys soon guffawed at the “baby” stuff, yet when I put P Mooney away for a few days, they asked for him. “Donde es P Mooney?” I realized they were not above having fun after all and started to trust my instincts. I was not the only teacher encountering resistance as these students were put into age-appropriate classrooms for half-days. A Cuban lawyer who lived in the Jefferson School community spoke to the teachers one night, trying to help us understand the Cuban culture. He said, unlike the children who came from the Mexico and responded positively to kindness and affection, the Cuban children had no respect for that and responded best to discipline and authority. One parent told me to spank her child if she disobeyed. As a new teacher, I was dismayed and disillusioned. Perhaps I had chosen the wrong career. could understand on TV. They came into the classroom after having only black coffee for breakfast on little sleep. I often sympathized with these children. Although they had assimilated into a Cuban neighborhood, they longed for their countryside of lush green land where they played outdoors waiting for their father to return from his work in the fields and then ate their evening meal outdoors over an open fire. Quite a contrast to their present environment--miles of concrete with postage-stamp yards, frigid temperatures off of Lake Michigan and the steel mills of Gary belching out their pollution on a daily basis. One day I ate lunch in the cafeteria and discovered that although they allowed the servers to fill their trays with a hot meal of “American” food, they would slide it to the end of the serving line and then dump the entire contents immediately in the trash can. They then went to the candy machine and stocked up. This was disturbing as their hot lunch was paid for by food stamps. old and I found out quickly what “ Ella es Gorda” meant. I’m sure that was spoken in the most endearing way. Right. Also, when I would give my two-year old her bath in the evening, I found myself saying, “Sientete, sientete,” as she stood up in the tub. “We’re going back to Cuba,” they responded joyfully as if they were on the next boat. “When Castro leaves,” was their reply. Today Castro has left and I can’t help but wonder—do they still consider Cuba their home? Will they now return? As for me, did I return to the classroom? Yes, I did, many years later. A regular high-school English classroom complete with teaching materials and no language barriers. But none of those students have stayed in my memory as much as the little Cubans. As they asked, Donde es P Moony? , I have often asked through the years, Donde estan los ninos? Lilac Girls is historical fiction, where the author Kelly so skillfully combines the lives of two real women with fictional characters to reveal the plight of the Ravensbruk Rabbits. This was the name given 74 Polish women who survived WWII and the unbelievable cruelty they endured at the only major Nazi concentration camp for women, just outside Furstenbeg, Germany. If you have never heard of the Ravensbruk Rabbits, you are not alone but that is soon to change with the publication of this remarkable story that was five years in the making. I might add that cruel is not harsh enough a word as these women were subjects of medical experiments that were designed to maim and cripple healthy human beings. According to the Alliance for Human Research Protection website, “Their legs were broken, pieces of bone extracted, nerves and muscles torn. To simulate battle injuries, the doctors sought to maximize infection by deliberately infecting the wounds using increasingly more potent bacteria cultures, rubbing the surgical wounds with bacteria, sawdust , rusty nails and slivers of glass.” Yes, unimaginable but true. At this point in the story, I almost did not continue because it was so disturbingly graphic, but I continued and glad that I did as history turns this unspeakable event into a triumph of the human spirit and the goodness of one remarkable woman in history—Caroline Ferriday. The genesis of this story, as horrendous as it is at times, begins in a beautiful setting. 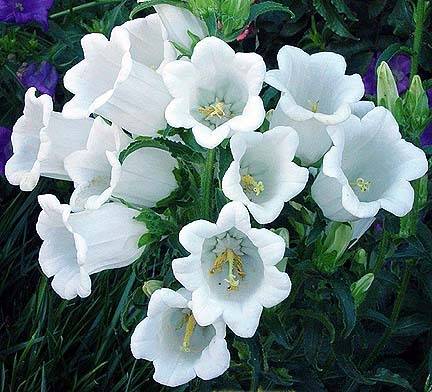 Ms. Kelly, the author, toured the actual Bellamy- Ferriday house and gardens in Bethlehem, Connecticut, when an article entitled Caroline’s Incredible Gardens appeared in Victoria Magazine in 1999. Ms Kelly was attracted to the home and especially the lilac gardens but it took her several years to finally visit. She carried the article with her for many years, a bucket list of sorts. Although she lived nearby, she was busy with a young family, but finally in 2003, she did visit the historic home sitting on 100 beautiful acres. The home originated with Bellamy, a reverend who gained fame through his role in the Great Awakening, America’s religious revival of the mid-18th century. One hundred and fifty years later it was purchased by Manhattan socialites Henry and Eliza Ferriday, who with their daughter Caroline created an impressive garden filled with antique roses and specimen lilacs. Caroline Ferriday is one of three main characters in this novel that is told from three points of view. The other main character is Kasia, a Polish teenager who starts working for the underground resistance movement as Germany begins its invasion of Poland. As a Polish Girl scout she and many others, in their attempts to defeat Hitler, are arrested and become political prisoners. Kasia, although fictional, is based on one of the Ravensbruck rabbits (or lapins as they were called in Polish, because the unimaginable experiments caused them to hop rather than walk after the experiments). The third main character is Herta Oberhauser, a German doctor who accepts a job at Ravensbruck. Herta , like Caroline, is a real life character. The three lives, Caroline, Kasia, and Herta, come together when Caroline hears of the survivors’ plight many years after the war. She uses her social connections to bring many of the women to America where they received much-needed medical attention and were treated to a host of restorative measures. She convinces Normal Mailer, then editor of the Saturday Evening Post to feature their story, appealing to the generosity and sympathy of the American people to help these ravaged women. If you Google Herta Oberhauser, you can see the role she played in history as the only female doctor at Ravensbruck and the only female at the Nuremburg trials. For her involvement in the horrendous experiments she was sentenced to twenty years in prison but was quietly released after five years and resumed her medical practice in Germany as a family physician. When Caroline Ferriday heard of this, she worked relentlessly to have Herta’s license revoked and was successful in that endeavor in 1960. Ms. Kelly began her research and writing several years later. She studied Caroline’s archives in Connecticut, Paris and Washington, D.C. As part of her research she and her 17-year old son took a trip to Poland and Germany. They rode the train from the village of Lublin where the girls were put on a train to Farstenberg, Germany to help bring the story to life—to see it through their eyes. She tells us on her blog that the lilac seedling is now a full-grown bush. It took her that long to write it. And like the seedling, her story has grown into something beautiful to share with the world. Throughout the rest of her life, Caroline maintained a relationship with the women she gave new life to. Having never married with a family of her own, she referred to them as her daughters and they called her Godmother. Caroline is proof indeed that true-to-life fairy godmothers do exist. A story that will in some ways break your heart and in others confirm the goodness of people and the resilience of the human spirit. This is the first book I have read by Susan Meissner. It will not be my last. Susan writes historical novels that typically alternate a present-day story with one from a specific historical period or event. 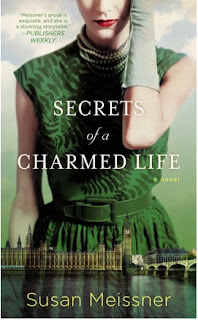 As Secrets of a Charmed Life opens we meet Kendra Van Zant, a young American student at Oxford, England, who is on an assignment to interview an elderly renowned artist, Isabel McFarland. 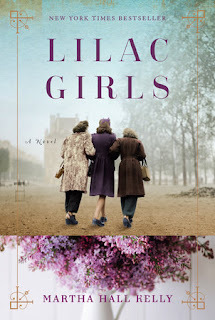 Isabel has refused interview requests for 70 years, but as her family gathers on the lawn to celebrate her 93rd birthday, she agrees to share with Kendra her first-hand experiences of the German bombings in London in 1940. I will not reveal the magnet that draws you into the story early on, but trust me, when you read the last two lines of Chapter One, you will be compelled to continue. The second reason to keep reading is a riveting plot. In 1940 a half million (some sources say one million) children were evacuated from London to the surrounding countryside for “safe-keeping”. Many of you reading this are parents or grandparents. Imagine for one minute putting your young child on a bus or train that will take them to a remote location hours from the city. Not knowing where or who they will come to live with or how long they will be gone. The evacuations were not mandatory but highly encouraged by the government. Parents were torn with protecting their child under their London roof, which most in most likelihood would be destroyed, or sending them off alone with hopes of surviving the travesty of the war and being re-united someday. The third reason to keep reading are characters we come to love and sympathize with as they deal with these horrors and make choices that will have consequences for the rest of their lives. In chapter two we meet 15-year old Emmy Downtree, an idealistic teen-ager, who makes a bad choice although her intentions were good. Emmy and her 7 -year -old half sister, Julia, have been evacuated to the countryside. Emmy protests. She does not want to leave the city but she obeys her mother’s request to go for Julia’s sake –to make sure Julia is in good hands and also because Julia adores Emmy. In fact, Emmy has been the parent figure because their single mother, is gone so much. The fathers of both girls are absent in their lives. Although Emmy and Julia are taken in by a wonderful nurturing lady, Charlotte, in an idyllic setting of a beautiful country home with climbing roses, clucking chickens, a shining pond and gabled windows, Emmy can’t let go of her dreams back in London where she had a job as a wedding dressmaker’s assistant. Emmy’s greatest dream is to design, make and sell her own wedding gowns. She has a treasured box of sketches she drew that she values more than anything. When the once- in- a -lifetime opportunity to meet with a famous designer in London to begin a mentorship presents itself, Emmy plans secretly to return to London, knowing Julia will remain safe with Charlotte. However, her plan goes terribly wrong when Julia awakes and insists on going with her. Headstrong and ambitious, Emmy does not want to scrap her plan that holds a promising future. She allows Julia to go with her. Their timing could not have been worse. The date is September 7, 1940, the first night of the “blitzkrieg” (lightning war) when 300 German bombers raided London, in the first of 57 consecutive nights of bombing. Several times throughout the story and at the end, we return to the present day interview with Kendra and Isabel. Emmy’s story is told in a past-tense perspective and Kendra’s in present tense. This structure allows the reader to easily switch from present day to the past. The Q & A with the author at the end of the book is also interesting and informative. An interesting side note about children’s literature that came out of this tragic time in London history. Michael Bond’s Paddington Bear is about an orphan bear found by a family in Paddington Railway Station in London, sitting on his suitcase with a note attached to his coat that reads, “Please look after this bear. Thank you.” Bond said that his memories of newsreels showing trainloads of child evacuees leaving London during WWII with labels around their necks and their possessions in a small suitcase, prompted him to do the same for Paddington. In the movie, Bedknobs and Broomsticks, based on two novels by Mary Norton, the evacuee children are taken in by a good witch-in-training. In C.S. Lewis’ novel, The Lion, the Witch and the Wardrobe, the children are evacuated from London to the stately manor that contains the portal to Narnia. On the adult level, If you liked Orphan Train by Kline and The Secret Keeper by Morton, you will like this story that combines history with the emotional stories of the people who lived through horrific times, managed their fears and held on to hope through it all. There are not many women who have the joint title of novelist-neuroscientist. I should add Harvard grad. Lisa Genova is one. If her name is familiar to you, it may be because she is the author of the novel Still Alice which was made into a movie starring Julianne Moore who received the best actress Academy Award in 2015. Still Alice is the fictional story of a Harvard professor who suffers from early onset Alzheimer’s and was inspired by Genova’s grandmother’s affliction with the disease. 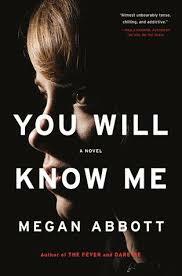 In Left Neglected, Genova once again puts her knowledge and training as a neuroscientist to use in a fictional tale of one woman’s brain injury, how she comes to grips with her limitations, and maps out a new life for herself that is perhaps better than the one she had prior. Sarah Nickerson is a 37-year old career-driven supermom who works 80 hours a week in a high-powered job. The demands and high pressures are what she loves. She and her husband Bob, along with a nanny for the three children, live in an affluent suburb of Boston where their life is hectic but seemingly charmed. Sarah manages every minute of her life like an air traffic controller until her multi-tasking throws her life into a free fall. While trying to make a phone call on a rainy morning commute, she looks away from the road one second too long. Like the sound of tires trying unsuccessfully to stop in time, her life, as she knows it also comes to a screeching halt. A traumatic brain injury complete erases the left side of Sarah’s world. If the author’s intent is to shed light, from inside the brain, on rarely looked at neurological conditions, she succeeds with Left Neglected. The title refers to a little-known condition of left side neglect, also called hemispatial or unilateral neglect. It is the result of an injury to the right hemisphere of the brain and can occur after an aneurysm or traumatic brain injury. It can be temporary or it may improve in increments through rehabilitation. Now Sarah, the successful, competent high achiever, is entirely unable to perceive anything on the left, including her left arm, leg and facial features, to a point where she has to be reminded to look left, not a task easily achieved. One review says the title is also a metaphor for all the things Sarah may have neglected --either inadvertently or deliberately—because of the intense and rapid pace of her overscheduled life. The surrounding cast, her husband Bob, her therapist, and her mother, who becomes her care-giver at home once she is out of re-hab, are supportive and interesting characters. There is also a sub-plot of a reconciliation with her mother who has not been present in her life until now. She uses this time with Sarah to make up for the many times she was not present but should have been. There is also a new awareness on Sarah’s part of her son’s attention deficit disorder which was diagnosed shortly after her accident. She is now able to sympathize with him in a way she could not have before. Although all of the above seems depressing and the very thought of such an injury is truly frightening and disturbing, Sarah’s journey and the realizations she makes about life by the end of the story are truly uplifting. I won’t give any plot spoilers but I was inspired by the turn of events. If you like Ms. Genova’s writing, her other fictional titles also put her PhD in neuroscience to good use. Love Anthony is a story of autism, Inside the O’Briens is the story of a Boston cop who suffers from Huntington’s disease. Her books have been described as heart-wrenching with large doses of hope. It would seem that hope is often the best prescription a patient can have.